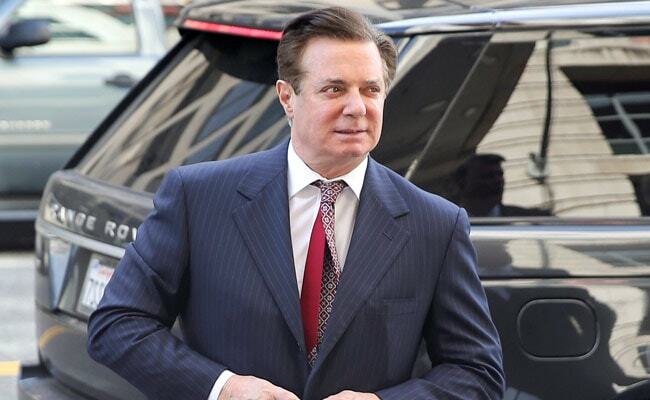 U.S. President Donald Trump's former campaign chairman Paul Manafort will plead guilty to two criminal counts as part of a deal with prosecutors on Friday, court documents showed in what could be a blow to Trump in Special Counsel Robert Mueller's long-running probe of Russian election meddling. As part of the deal, Manafort, 69, could be required to cooperate with Mueller's probe into Russia's role in the 2016 presidential election and whether Trump's campaign colluded with Russia in the 2016 U.S. presidential election. Details of the deal were likely to emerge in a plea agreement hearing scheduled for 11 a.m. ET (1500 GMT) in federal court. Manafort would become the most prominent former Trump campaign official to plead guilty in Mueller's investigation, which has cast a shadow over Trump's presidency. It remains unclear if the deal will include Manafort's cooperation with Mueller's probe, dealing a blow to Trump ahead of congressional elections on Nov. 6. Another approach would be for Manafort to plead guilty without cooperating in hopes of a presidential pardon. Trump has not said whether he would pardon Manafort, but the president has not publicly ruled it out. On Twitter on Aug. 22, Trump wrote: "Unlike Michael Cohen, he refused to 'break' - make up stories in order to get a 'deal. Such respect for a brave man!" According to the court filing, the charge of conspiracy against the United States includes money laundering, tax fraud, failing to disclose foreign bank accounts, and acting as an unregistered lobbyist for pro-Russian politicians in Ukraine. The second count, for conspiracy to obstruct justice, concerns attempts to tamper with witnesses related to Manafort's foreign lobbying. Manafort's conviction in Alexandria, Virginia, last month was at a trial arising from Mueller's investigation. Trump has denied colluding with the Russians and the Russians have denied interfering. Rick Gates, Manafort's former business partner and the campaign's deputy chairman, pleaded guilty to lesser charges in exchange for his cooperation, later testifying against Manafort in Virginia. Gates may have been a prosecution witness in his Washington trial as well. Rudy Giuliani, the former New York City mayor who is now representing Trump in the Russia probe, told Reuters on Friday that a guilty plea to avoid a second trial would not crush Manafort's chances of receiving an eventual presidential pardon. "It's not going to hurt him if he pleads guilty. Usually it helps you get a pardon down the road. It shows you've admitted your guilt," he said on Friday before a deal was announced. He declined further comment until after the hearing.